I am all about sneaking vegetables into desserts when I can. That is exactly what I did with this Super Rich Healthy Fudge. This fudge tastes super rich and satisfying, but it contains a secret ingredient. It’s not beans or zucchini either! If you like desserts with hidden veggies, you may like this, this or this. 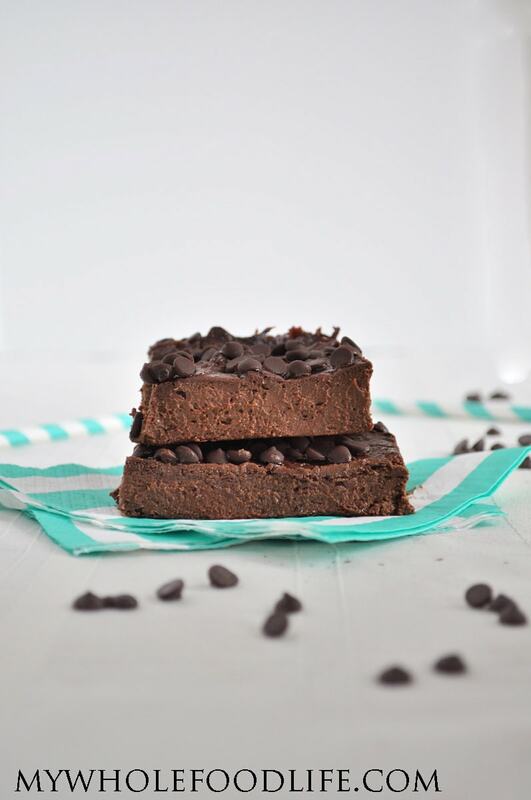 This super rich healthy fudge is vegan, gluten free, grain free and paleo. I can see this recipe being adapted to include other flavors or ingredients. I added some chocolate chips to the top of mine, but nuts or toasted coconut would be yummy too. Decadent fudge that is secretly healthy! In a food processor , blend the cooked sweet potatoes until they are completely smooth. Add in the remaining ingredients and blend until smooth. You may need to scrape down the sides several times. Line an 8x8 baking dish with parchment paper, leaving enough room for some paper to stick out the sides. Spoon batter into the baking dish. It will be VERY sticky. Sometimes wetting the spatula helps. If you are adding the chocolate chips, add them on top now. Let the fudge completely cool and then place it in the fridge. Make sure the fudge is completely cooled before removing from the pan and slicing into squares. Please keep this fudge in the fridge. It should last at least a week, maybe more. I haven't tried freezing it, but I am guessing it's possible to do that too. Enjoy! This is so good! Like chocolate cheesecake more than fudge, absolutely delicious! Do you mean freezing without cooking? This was amazingly, absolutely awesome! I pureed my sweet potatoes with water & used coconut flour and the consistency was more like a creamy brownie/cheesecake. A keeper recipe, thank you!